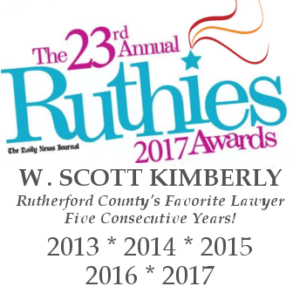 Murfreesboro Lawyer W. Scott Kimberly | An Experienced Murfreesboro Criminal Lawyer | Tennessee Marijuana Laws: Is Change in the Future? This entry was posted in Criminal Defense Topics and tagged Criminal Defense, Simple Possession. Bookmark the permalink. The movement towards decriminalization is a move in the right direction for the advancement of marijuana laws and new marijuana legislation. The only reason the laws have stayed in place as long as they have is purely monetary. Why would the government ever decriminalize or make legal marijuana when the majority of people in the prison system are there for it and those local governments and judges get kick backs to stay “tough” on marijuana and keep the privatized prisons full of some people who do not belong there? I am not saying that I believe that marijuana is a totally victim-less crime either. I understand that people have been hurt and even killed in the illegal transaction of this plant, however, there are also probably just as many people, if not more who have benefited from its use and decriminalization as an aid to their cancer, cerebral palsy, or any other ailments. Above all else, this is a plant that grows naturally and I believe it unconstitutional to prohibit its use.